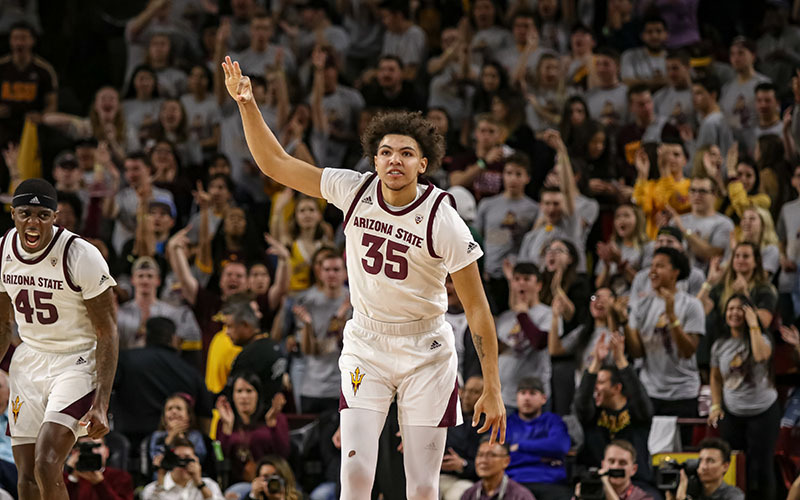 TEMPE — Since the NCAA Tournament selection committee seems to enjoy finding storylines when arranging early matchups, Arizona State coach Bobby Hurley had an inkling that the Sun Devils were about to be included in the March Madness plot. ASU was the next to last team selected to the 68-team field and will open tournament play against St. John’s in a play-in game Wednesday in Dayton, Ohio. “I just had a feeling once we saw Buffalo at the six, knowing it was going to be an 11 next, ‘OK, I see what’s happening here.’ ” Hurley said. “I kind of knew at that point that we were going to be in, but it took a little while, obviously. ASU was a faster-paced team last season, often relying on lineups with three and even four guards. But this season, the Sun Devils are built around physicality and defensive versatility with sophomore playmaker Remy Martin triggering the offense.